Kazakhstan Paramount Engineering (KPE), a supplier to the Ministry of Defence of Kazakhstan and the largest supplier of armoured vehicles in Central Asia, has chosen the Allison Transmission 3000 Series for its latest range of armoured vehicles. 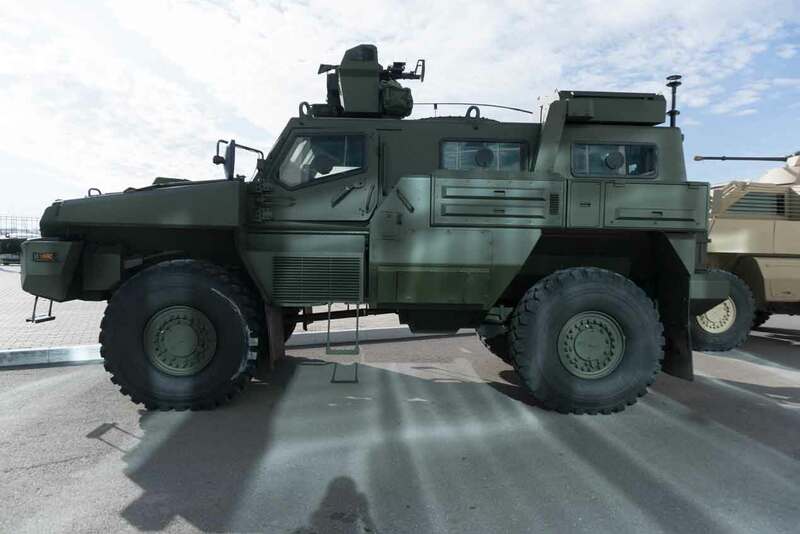 The joint enterprise between Kazakhstan Engineering and the South African military corporation, Paramount Group, requires a transmission that is easy to integrate and can handle extremes of climate and terrain. KPE currently produces or plans to produce the Arlan AWV (armoured wheel vehicle) 4x4; the Nomad AWV 4х4 and the Barys APC (armoured personnel carrier) 6х6 and 8х8. Each is mine-resistant ambush-protected (MRAP) and equipped with a Cummins diesel engine and six-speed Allison fully automatic transmission. The company plans to export its vehicles to other countries. “When selecting the transmission to pair with the Cummins diesel engine, we focused on two basic factors. The first one is the simplicity and speed of integration, which impacts the speed of production and maintenance. In this regard, the fully-automated Allison transmission was a very successful solution as it is quite popular and widespread, and it has shown good results in combination with this engine,” said Delport. Another important factor is the ability of the powertrain to respond to the peculiar operating conditions in Kazakhstan. The annual temperature range is about 100 °C, from +50 °C in summer to -50 °C in winter. The cooling system of the engine and transmission, as well as the power supply system, have been significantly improved especially for Kazakhstan. One of the main advantages of Allison fully automatic transmissions is their ease of operation in military vehicles. Quick acceleration is made possible by the smoothly multiplying engine torque that delivers more power to the wheels. The driver can concentrate on the road without paying attention to gear changes, which is highly important in combat conditions when every second counts.